Ask your questions to this week’s @NHS curator, Charge Nurse, Craig Leathard, about everything and anything to do with the nursing profession, his role in responding to emergencies and working in a specialist emergency care hospital – an NHS Vanguard – in the North East. Craig will answer your questions in person, live on video. Craig works for the Northumbria NHS Foundation Trust, and has worked in the NHS for over 20 years. Craig has trained and worked as a nurse since the age of 17, and is currently tweeting about his life and role in the North East as a Charge Staff Nurse in a Specialist Emergency Care Hospital. Craig will be answering your questions live via video in a Twitter Q&A, Friday 25 November 2016 12:15 – 13:00pm (GMT) from the @NHS Twitter account . Tweet Craig your questions to @NHS with the hashtag #FutureNHS – asking him about his role as charge nurse, his emergency care team and the specialist emergency care hospital, and everything in between. Craig will be responding to #FutureNHS questions directly via @NHS. So start tweeting your questions now or join in live at 12:15 (GMT) Friday 25 November 2016. Craig will answer as many of your questions as he can during the Q&A. You must have a Twitter account to be able to ask a question and join in the chat. 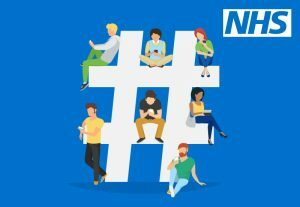 This week on Friday 25 November, Craig will be live tweeting answers to your #FutureNHS questions between 12:15 – 13:00 (GMT) from the @NHS Twitter account.